You might not realize it, but your co-workers can tell a lot about you based on the lunch you eat. They see that air of superiority when you're eating your homemade organic kale chips. Or maybe you don't eat lunch until 5:00? They get that too: You're such a harder worker than everyone else. Just so you're clear on how your co-workers perceive you, we've compiled the definitive list of office lunches and what they really say about you. Find your most common midday fare below, and then learn what your officemates are thinking when you unwrap the tin foil on that bi-weekly burrito. 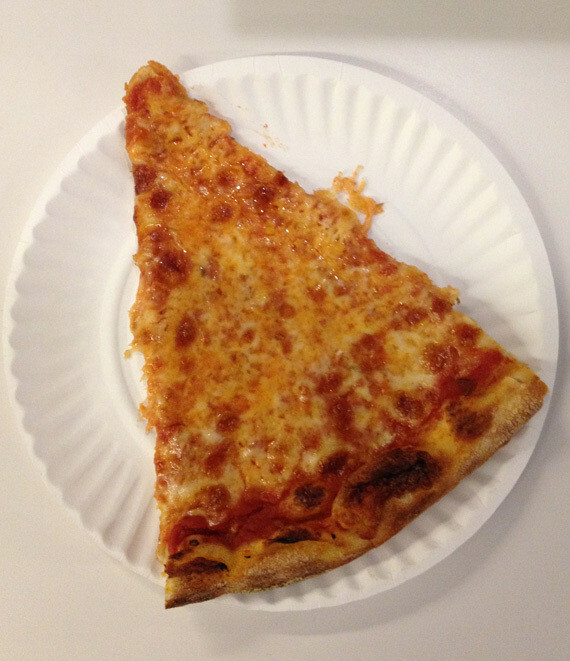 The meal: A single slice of pizza. Alternatives: Instant oatmeal, hanging around outside a conference room to try to get free leftovers from a catered meeting. 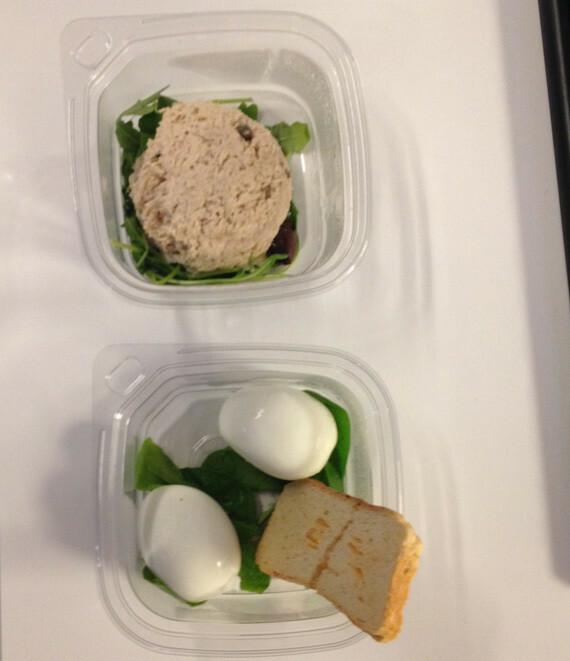 The meal: Hard-boiled eggs and tuna salad. Alternatives: Street meat, Italian-style deli sub. 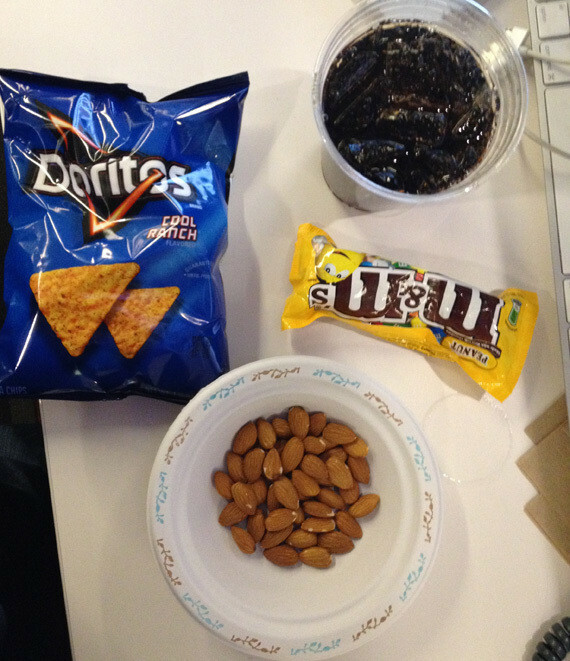 The meal: Vending machine Doritos, M&M's and Coke. Maybe a few almonds thrown in for a well-balanced meal. Alternatives: No lunch at all, sending a tweet saying you wished Starbucks delivered. The meal: Gourmet lunch made at home and packaged in glass containers. 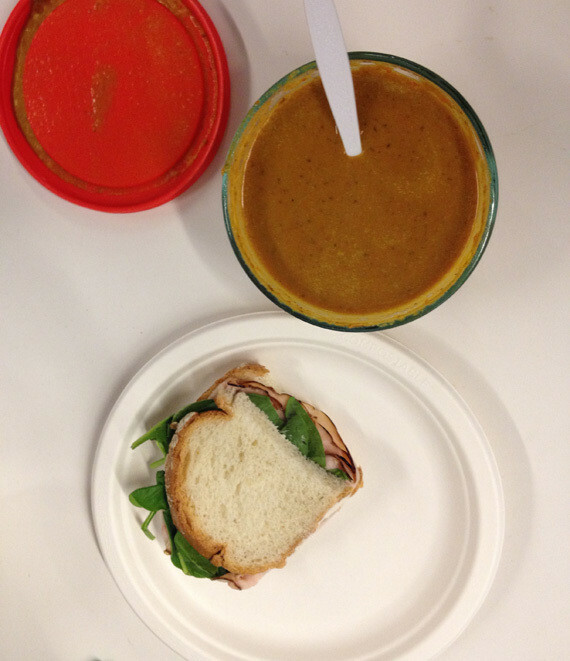 Alternatives: Using the office kitchen to actually make something fresh. 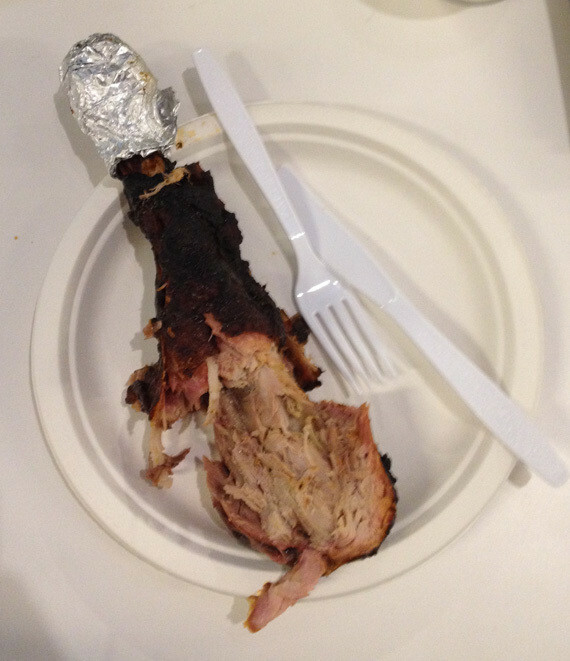 The meal: Single roast turkey leg. Alternatives: Lima beans, a can of anchovies. 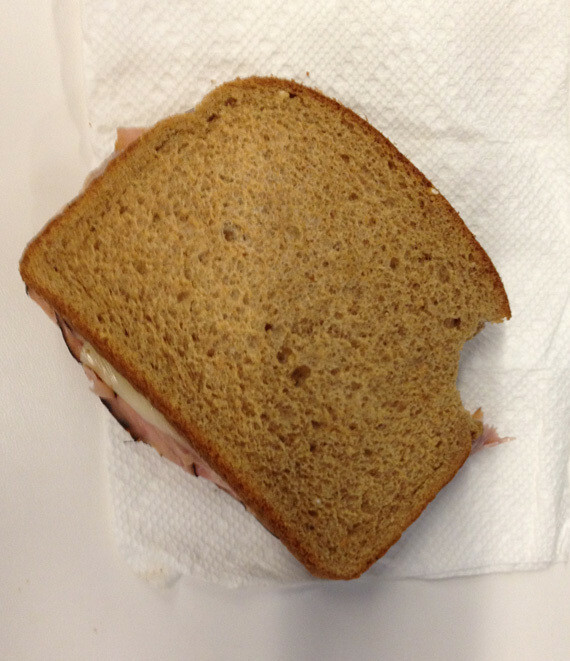 The meal: Ham sandwich, probably for a number of days in a row. Alternatives: No lunch at all, Chef Boyardee microwaveables. 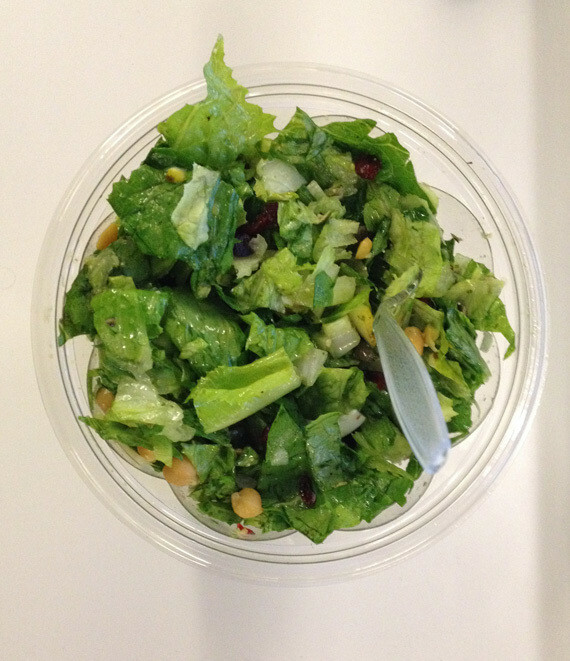 Alternatives: Kale salad, smoothie, non-fat frozen yogurt. The meal: Kale, pineapple, ginger, lime, cucumber juice. Alternatives: Ginger, pumpkin, celery root, agave juice. Almond milk. 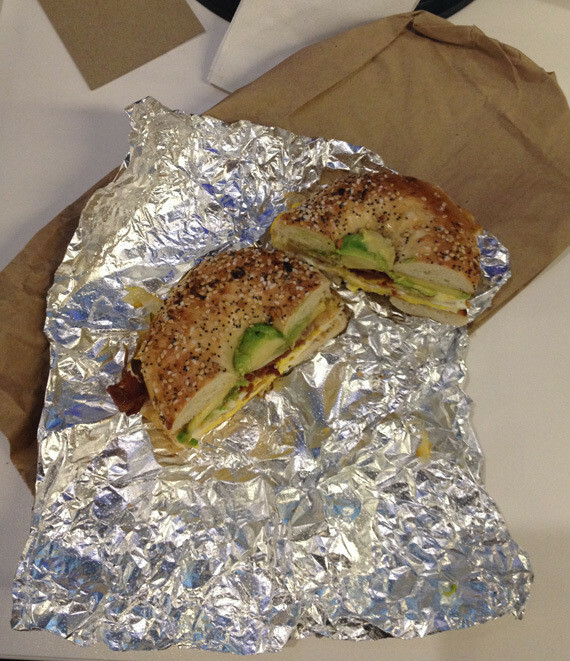 The meal: Bagel sandwich and a Gatorade. Alternatives: Loaf of bread, fried chicken and french fries. 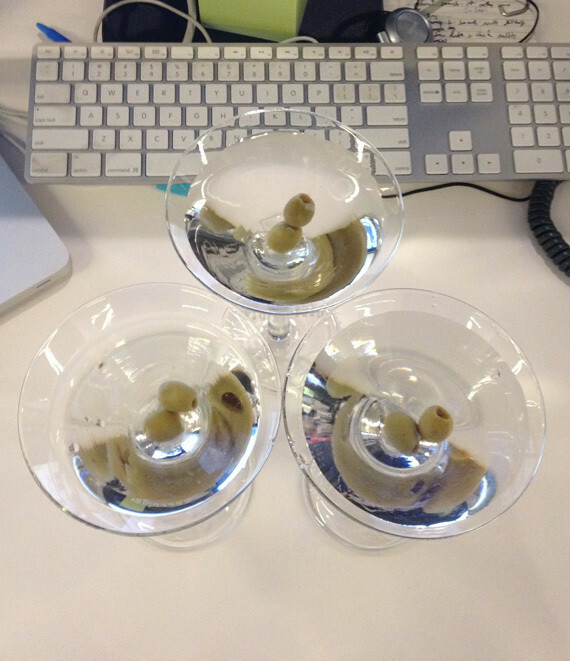 The meal: Three martinis during an inexplicably long break, followed by nap. 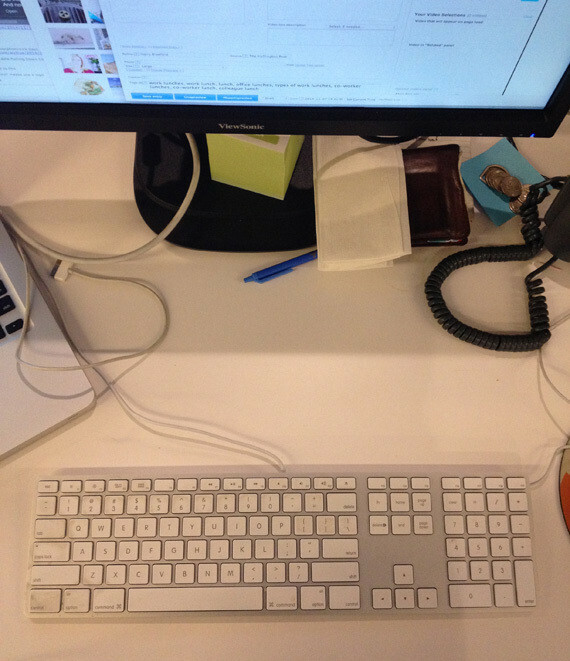 Alternatives: Desk whiskey, company-provided beer. Alternatives: A full delivery pizza, Chinese takeout. 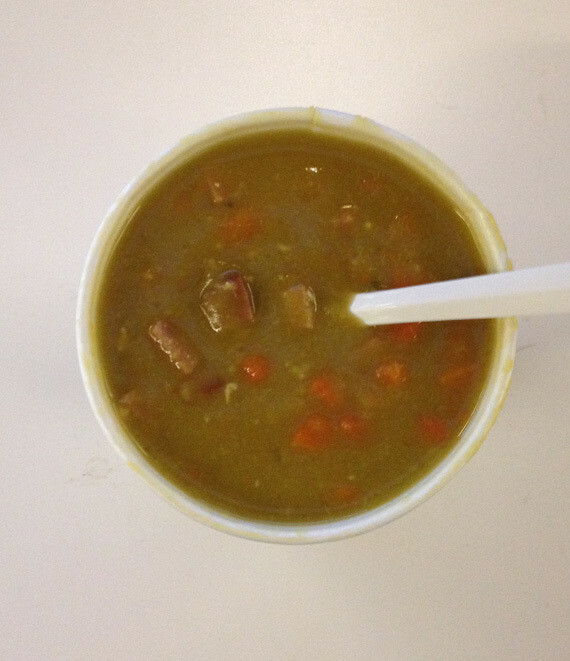 The meal: Gluten free split pea soup. Alternatives: Salad, sandwich with bread thrown away. Alternatives: Kobe beef cheeseburger with foie gras, Beluga caviar and champagne. 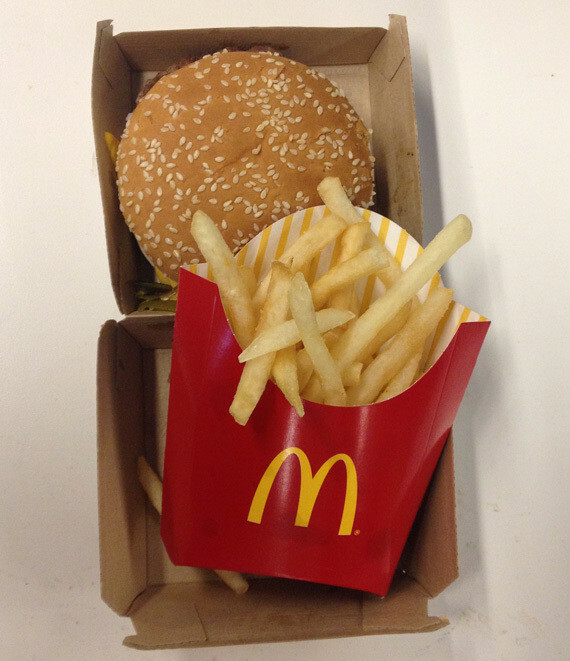 The meal: McDonald's Quarter Pounder. 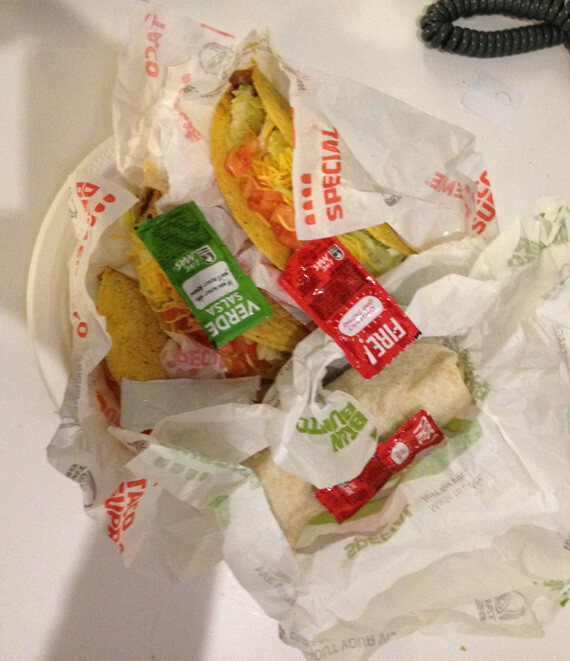 Alternatives: Taco Bell, bottle of Jack Daniel's. The “I Just Got Fired” Lunch. 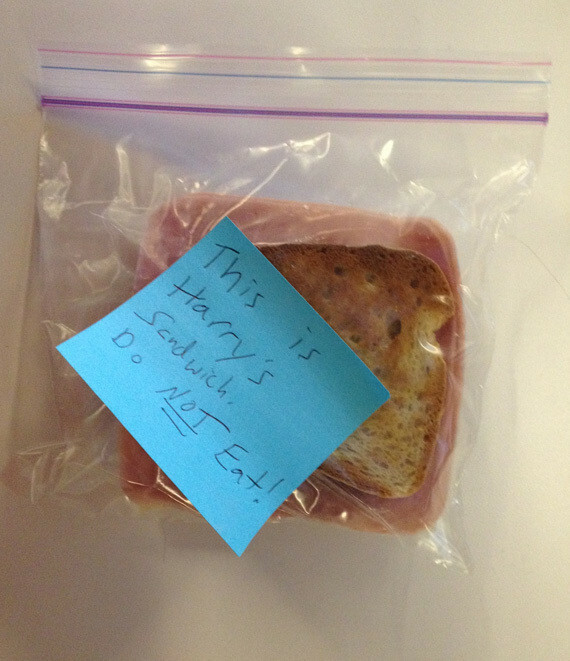 The meal: Stolen sandwich from the work fridge. 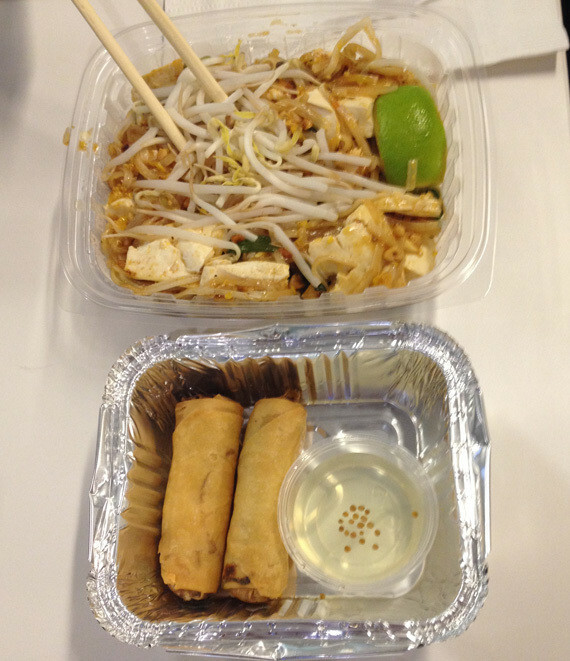 Alternatives: See above for the "The 'I Have No Respect For Your Sense Of Smell' Lunch." 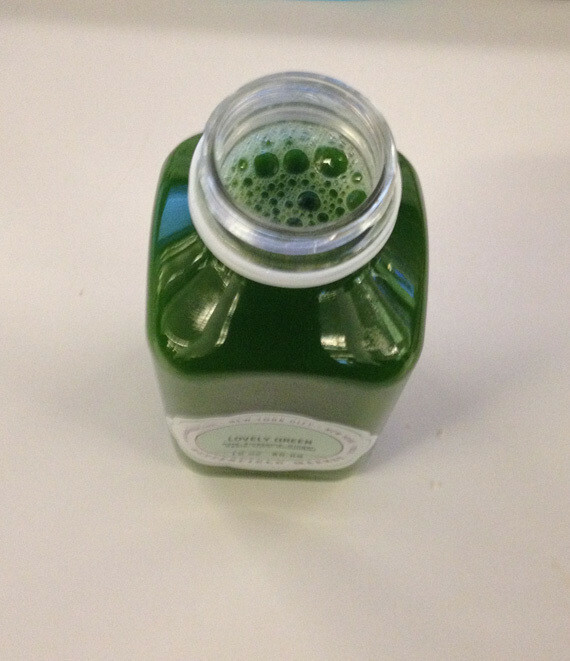 Pretty much anything while your desk neighbor is dieting. 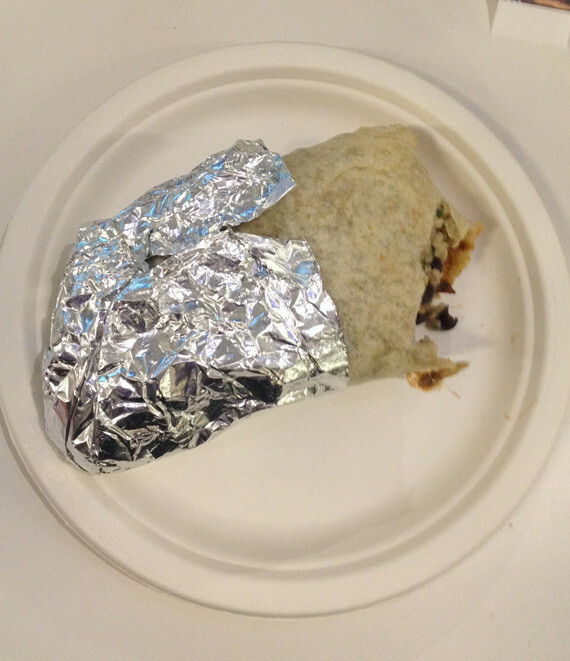 The meal: Nothing. 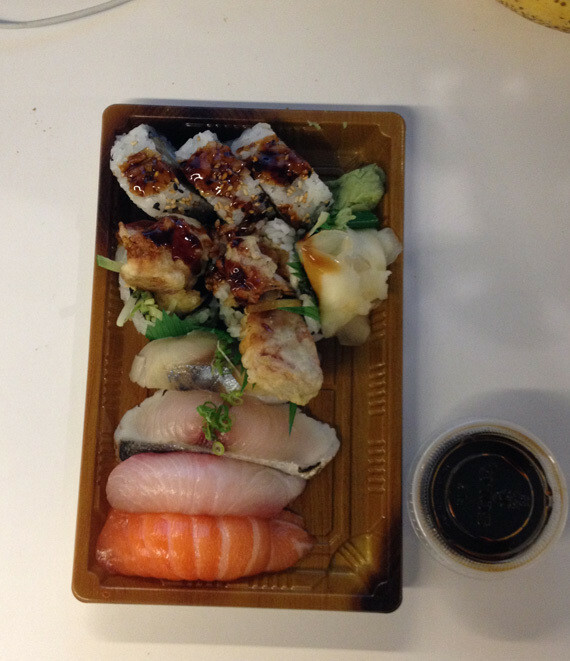 You missed lunch. Alternatives: Expensing meal to company, falling asleep, taking a chill pill.